When you’re standing on a movie premiere red carpet, you never know what will happen or who you’ll get to talk with. Sometimes the stars show up early and talk with everyone, and other times you might not get one interview. It’s always completely random and impossible to predict. So when I was standing on the red carpet Saturday night for the world premiere of Sony’s Inferno in Florence, Italy, I figured my best course of action would be to take some pictures and post them on our social channels since the carpet was loaded with journalists from around the world and I’d be lucky to land one interview. But that plan quickly changed when it became apparent I’d actually get to talk to a lot of people, so I did my best MacGyver impression, grabbed my phone, quickly turned on my video camera. Remember how I said you never know who you’ll get to speak with? Well that was definitely true Saturday night when I noticed Tom Rothman, the Chairman of Sony Pictures Entertainment’s Motion Picture Group, walking near where I was standing. Almost as soon as I noticed him walking close to my position I somehow convinced him that doing a video interview with me while I held my phone in my right hand would be a good thing. Sometimes you just get lucky. As you can see in the video above, during my conversation we talked about his experience running Sony for the past eighteen months, fan excitement over Sony’s relationship with Marvel on Spider-Man: Homecoming, what will surprise people about director Morten Tyldum’s sci-fi romance Passengers (starring Chris Pratt and Jennifer Lawrence), how we’ll get our first The Dark Tower trailer at Christmas, and a lot more. But for fans of Marvel movies and Spider-Man, one of the highlights of the interview was after I asked Rothman when we might get updates on a Venom movie or Spider-Man spin-off movies. He said we’ll get “real news as opposed to speculative news before too long.” I’m very curious what that means and wondering if any future spin-off movies will be done with Kevin Feige and Marvel, or if Sony will handle those on their own. Hopefully we won’t have to wait too long to know more. 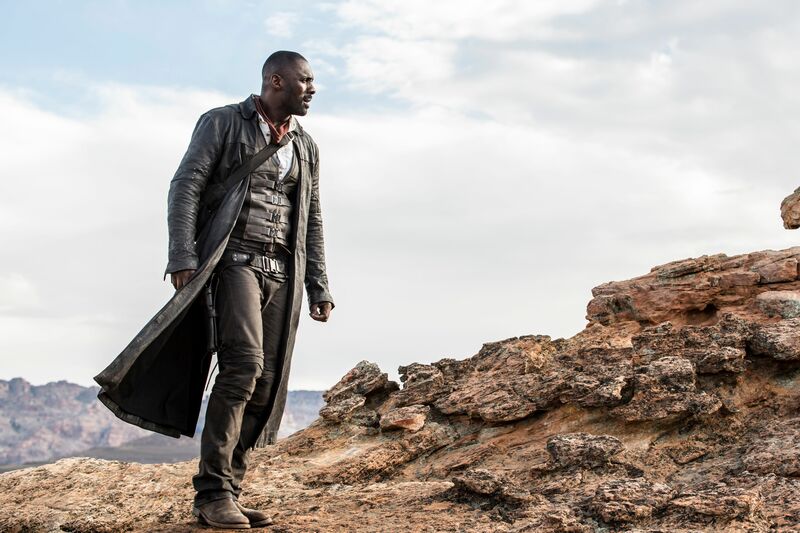 Finally, one of the other things he said which I think is important is the way director Nikolaj Arcel’s highly anticipated adaptation of Stephen King‘s The Dark Tower series will appeal to both fandom and people that have never heard of it. He said, “It manages that rare feat of being very satisfying for fans because it’s deeply loyal to the underlying material and Stephen King’s mythology, but also, I think, introduces a whole bunch of new fans.” I’m extremely optimistic about this movie just on the casting of Idris Elba and Matthew McConaughey alone, and if the film manages to do what Rothman said, the sky’s the limit. Check out the full interview above and below is a list of everything we talked about. Look for more Inferno red carpet interviews soon.